Following the Speech from the Throne delivered by UK-appointed Governor William Boyd McCleary, Premier and Minister of Finance Dr the Honourable D. Orlando Smith moved a motion to have the House recessed and reconvened on Monday October 14, 2013. The motion, having been duly seconded, was granted by Speaker of the House, Hon. Ingrid Moses. The action put a bitter taste in the mouths of Honourable Fraser and Member for the First District Honourable Andrew A. Fahie. “To ask us to come back here next Monday is a little inconsiderate,” said Hon Fraser. “I have no objections whatsoever to leaving questions off the Order Paper on a day when the speech is being delivered from the throne, as long as I am advised in advance and that there will be no other business,” he stressed. Hon. Fahie only had few words to say, “Today was an interesting day. Time will tell,” he said. Members of the opposition have continually complained about the alleged unfair, disrespectful and unlawful treatments being meted out to them by the current National Democratic Party (NDP) side of the House of Assembly. Among those were the Administration’s constant refusal to provided critical information and answers to questions regarding the Cruise Pier Development Project. UPDATE: Hon. Fraser to pepper NDP Gov't with questions! After hearing of the embarrassment early last week of the collapse in negotiations of the National Democratic Party (NDP) signature project, the expansion of the Cruise Pier on Wickhams Cay, with Tortola Port Partners and the announcement that government was still moving ahead with the project, the people of the Virgin Islands will be listening in to proceedings of Parliament on October 7, 2013 to see if they will get answers. 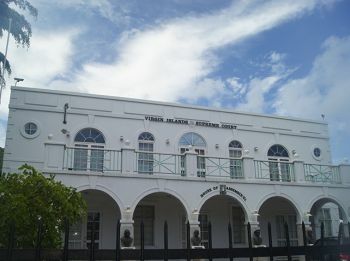 As first and accurately reported by this news site, the Virgin Islands House of Assembly (HOA) will meet today at 10 A.M. at its Chambers in Road Town, the VI Capital City for its first sitting of the third session of the second House of Assembly. 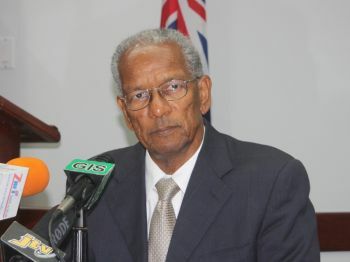 While no one will be rushing to the HOA to listen to the Speech from the Throne read by the controversial United Kingdom-appointed Governor William B. McCleary, the Member for the Third District, Honourable Julian Fraser, RA will be firing off some 30 plus questions to the National Democratic Party (NDP) front bench. However, the Deputy Premier and Minister for Natural Resources and Labour, Dr. the Honourable Kedrick D. Pickering and the controversial Minister for Education and Culture Honourable Myron V. Walwyn will escape the veteran Third District Representative’s questions. 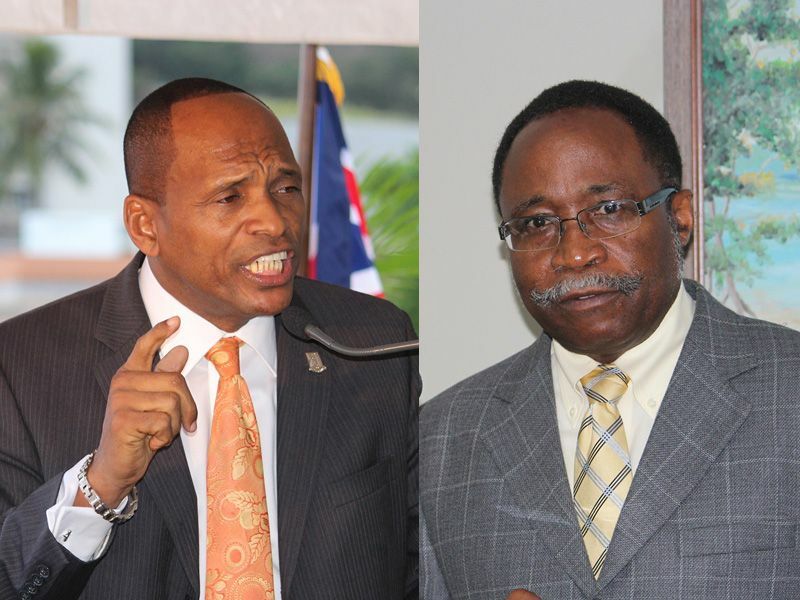 After months of not answering many questions on the Cruise Pier Expansion Project and the Virgin Islands Party opposition having to fight with the Speaker of the HOA, Honourable Ingrid A. Moses to get some questions on the Order Paper, Honourable Fraser will be asking many questions on the project at the October 7, 2013 sitting. The questions to the Minister for Communications and Works Honourable Mark H. Vanterpool will range from obtaining a copy of the April 12, 2013 Cabinet approved Heads of Terms Agreement with Tortola Ports Partners (TPP) under which the Ports Authority has authorized $1.7 million worth of pre-development services, information on the design of the project, and information on the $1.7 million associated with the Ports Project. Both the Premier and Minister of Finance Dr. the Honourable D. Orlando Smith and the Minister for Health and Social Development Hon. Ronnie W. Skelton will also face questions at the Monday Sitting from the former Communications and Works Minister, Hon. Fraser. 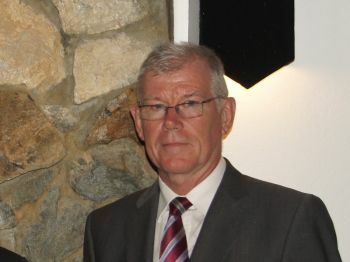 Other businesses of the HOA will include many Department and Statutory Bodies annual reports being laid on the table of the House, along with some five Bills including the Magistrate Code of Procedure (Amendment) Act 2013, Financial Investigation Agency (Amendment) Act, 2013 and the Status of Children Act, 2013. The HOA meeting will be carried live on CBN Channel 51 from 10 A.M.
After taking its summer recess though prorogation on July 31, 2013 the Virgin Islands House of Assembly is expected to meet on Monday October 7, 2013. This will be the First Sitting of the Third Session of the Second House of Assembly and it's expected that the United Kingdom appointed Governor William B. McCleary, CMG, CVO, will read the Speech from the Throne. This will be the National Democratic Party (NDP) Government's legislative agenda for the upcoming year. The Speech from the Throne is whereby the representative of Her Majesty the Queen will read a speech written by the government of the day outlining the Government’s legislative policies and agenda. It is a tradition in most Commonwealth countries and British Overseas Territories. Such a speech is critically important to the direction of the Territory as it outlines the agenda the elected Government plans to pursue. This will also be the Third Speech from the Throne for the NDP Government since it came into power following the General Elections of 2011. There was only one Speech from the Throne during the NDP’s first term in office in 2003-2007 as it had exchanged the tradition for a "State of the Territory Address" read by the then Chief Minister Dr. D. Orlando Smith. The seven broad areas were: 1. Stimulating/Fixing the Economy 2. Improving the Standard of Living 3. Improving Overall Social Services Programmes and Healthcare 4. Strengthening the Educational Sector 5. Protecting our Borders and Enhancing Law, Order and Public Safety 6. Public Sector Reform, Communications and Infrastructure; and 7. Re-establishing/Strengthening Regional and International Relations. These laws are going to far. I think it is a disgrace that when a new party gets in, they scratch the projects that were already in progress. This should be against the law and we the people should protest to the highest. This is why there are so many unfinished projects, money is wasted because the leaders ego's are bigger than common sense. VIP and NDP have been making our lives a living hell and they sit in church week after week for what? Going to church has not made them any better and it is nothing but a club for them to look good to the public. Well, you don't look good, you all look foolish and hypocritical. We The People are fed up and ashamed of them. Seems like the UK has to step in once again because they sure as Hell are not running our islands right. No concern for us at all! VINO you always first with everything…for days I cannot get on the blue government site and BVI news is jokes as they seems like they do not update!! We're going to drop some blows on the ndp. Will be blows for blows..You think only Frazer and Andrew have talk? My team ready for the so look out. Foolish dunce! VIP is no match for VIP when coming to pound for pound!!! When is Myron going to tell us what's going on with the mold contract and cost? Its time for the next Foncesa. Faulkner. deCastro. Bruce or Lloyd to come forth and stand up. So sick of this NDP government what they do best, TALK TALK TALK and block, block block! HAHAHAHA!! Who he think he his? The bully getting cut down, wait man, ting te talk!!!!!! what are the NDP hiding? Well Hon. Fraser, get this. It was a trick. They only wanted hands on your questions to know exactly what you were going to say, how you were wording your questions and how to prepare for you next time around. Well meh boy! POLITRIX as usual. Is this territory in the hands of dictators? That is the way it looks to me. The Primier must realize that he must be accountable to the people. He was put there to serve. Some politicians seem to forget what their role is after being elected. Put God first and he will help you to lead in the right way.